There was an explosion of poop at North American International Toy Fair this weekend—and I’m thankfully not talking about the “I missed” kind from Daddy Day Care. 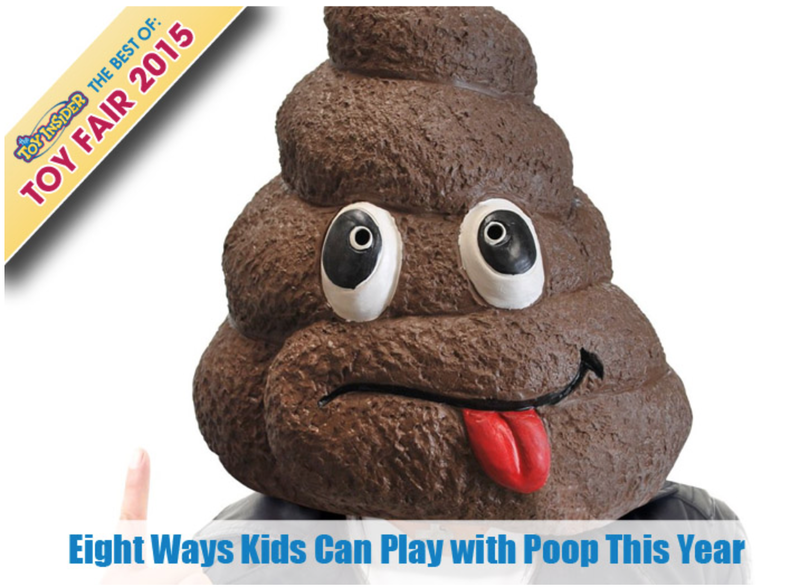 All of these new products, which humor kids and adults, will probably explain why your kids will be obsessed with poop this year. We saw a whole bunch of fart- and poop-themed toys and games that we just couldn’t pass by and not notice, and here are some of our flatulate favorites (in no particular order). Embrace your inner doo doo head. 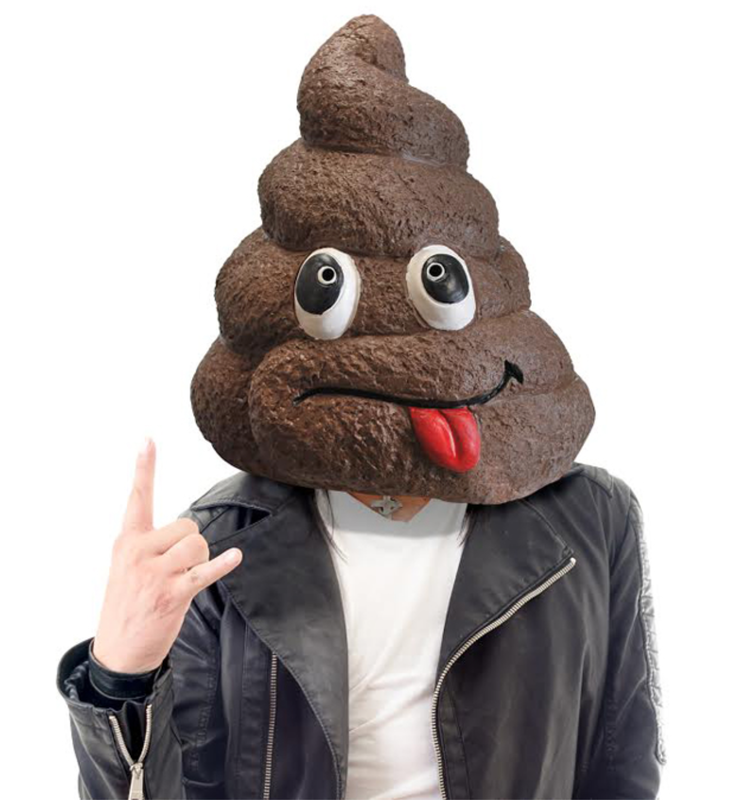 This latex mask, which looks just like the smiling poop Emoji on iPhones and Androids, will get a laugh from kids and adults of all ages. Tagged BigMouth Inc., Doo Doo Head, Poop, Toy Fair.